I COMBINE SHIPPING WITH ANY OTHER PURCHASES BY TOTAL WEIGHT OF PACKAGE. THANKS! 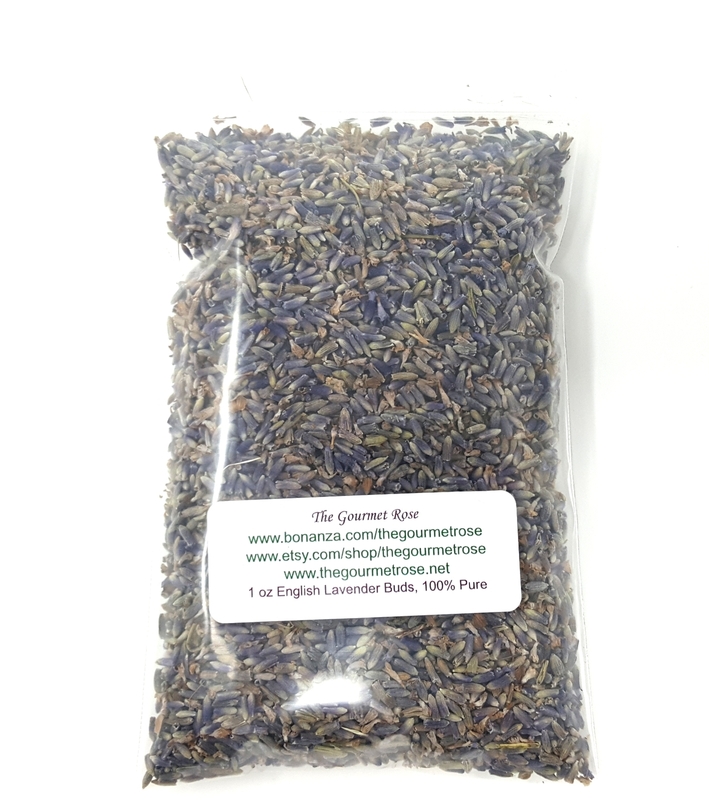 The Gourmet Rose 1 oz DRIED ENGLISH LAVENDER BUDS GROWN IN FRANCE PERFECT FOR HANDMADE SOAPS AND CANDLES 1st quality lavender buds are about 90% purple, with almost no stems. Very fragrant, and perfect for tub teas, facial steamers, and topping your soap. A PERFECT NATURAL EXFOLIANT TO ADD TO HANDMADE SOAPS, BODY BUTTER, MASSAGE OILS, LOTIONS, LIQUID SOAPS, SUGAR SCRUBS, AND MORE! REMEMBER IT IS 100% NATURAL!